Oral-B Crest and Pro-Health Junior Toothbrush Special Pack Just $7.99! You are here: Home / Great Deals / Amazon Deals / Oral-B Crest and Pro-Health Junior Toothbrush Special Pack Just $7.99! Nothing gets my grandkids excited about brushing their teeth than getting to use their special character tootbrushes! 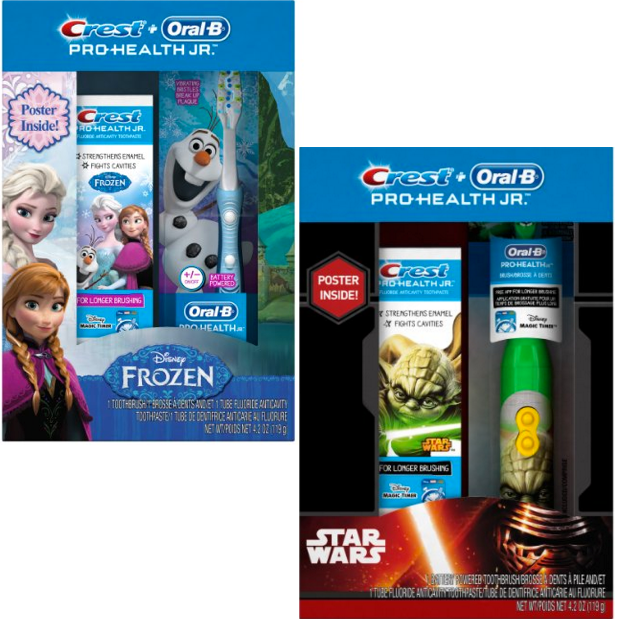 Head over to Amazon and get the Oral-B Crest and Pro-Health Junior Toothbrush Special Pack Just $7.99! Shipping will be FREE with Amazon Prime or an order of $35 or more. Don’t have Prime? Start a 30 day FREE trial!